James Arthur Shields, 89, of Worthington, PA passed away on Saturday, April 6, 2019, at Premier Armstrong in Armstrong County. He was born on Oct. 21, 1929 to Albert Boyd and Grace A. (Wray) Shields in Worthington, PA.
Art was a 1947 graduate of Worthington High School and a United States Army Veteran where he enlisted in 1955. He and his family were the owners of the Former Market Square Restaurant in Kittanning. He was previously employed as a fireman and steel worker with Armco. He was also a past auctioneer. In his spare time he enjoyed watching horse racing and Pittsburgh sports. He loved to fish, square dance, traveling with his friend Mickey and especially enjoyed his trips with Mickey to K.I.C.K. 's for ice cream. 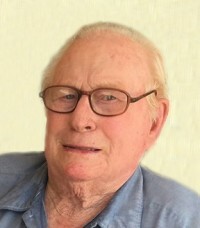 Art's memory will be cherished by his son-in law, William C. Evans; grandchildren, Christopher Shawn Evans and his fianc�e, Christina, and Lisa Elaine Evans; great-grandchildren, Patrick James Evans, Sean Michael Evans Arblaster, Austin Levi Evans Arblaster, Heath Allen Bettelyoun and Pierson Day Evans; a brother, Carl Eugene Shields and his wife, Donna, of Worthington; and a special friend Mildred Roudesbush. He was preceded in death by his parents; his wife, Patricia (Reighard) Shields; a son, James G. Shields; a daughter, Elizabeth I. Evans; two brothers, Raymond Alfred Shields and Robert Craig Shields, and an infant brother, William John Shields; and sisters, Margaret Anna Claypool, Hazel Marie VanDyke and Janet Irene Shields; and an infant sister, Helen Louise Shields. A memorial service will be held at 11:00 a.m. on Saturday, May 4, 2019 at the Faith United Presbyterian Church, 150 East Brady Road, Kittanning, PA 16201, with Rev. Kathleen Davis officiating. Interment will be at the Salem Cemetery, Limestone Township, Clarion County. Contributions may be made in Art's name to the funeral home to assist the family with funeral expenses. To send a condolence to Art's family visit www.bauerfuneral.com.